Assembly Bill 307 requires that California students and teachers receive instruction in Internet Safety and the ethical use of information. To fulfill the requirements of AB 307, BOUSD provides lesson materials to educate pupils and teachers on the appropriate and ethical use of information technology in the classroom, Internet safety, plagiarism, copyright, and the implications of illegal peer-to-peer network file sharing. All students and their parents sign an Electronic Network Use Agreement at the beginning of each school year. This parent and student notification reviews user obligations and responsibilities. Please be sure to sign the parent permission for Google Apps for Education so that your child(ren) may access online assignments and projects safely for their school work. Our BOUSD Google programs is monitored and secure. The Internet has created a global community of people connected through computers and various digital devices. Along with the opportunity to explore new information and connect with others, the Internet presents challenges and responsibilities. As educators and parents, it is important that we help children and young people understand how to be good and safe citizens of this global, digital community. As a school we are committed to direct instruction in the area of Digital Citizenship. We utilize the Common Sense Media curriculum for in school instruction. 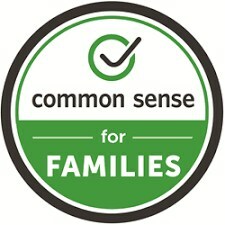 Parents can access resources for further discussion at home via the Common Sense Media website by clicking the logo below.